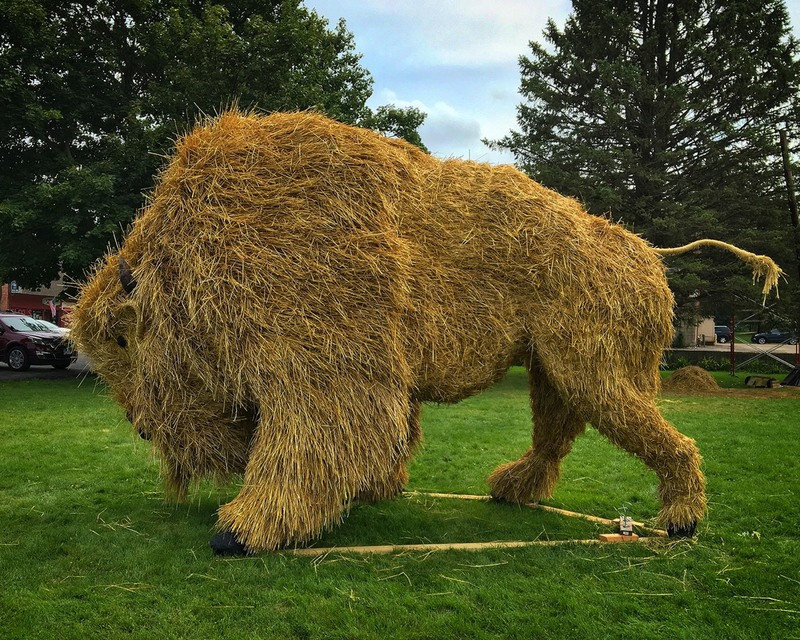 We Built a Giant Straw Bison! 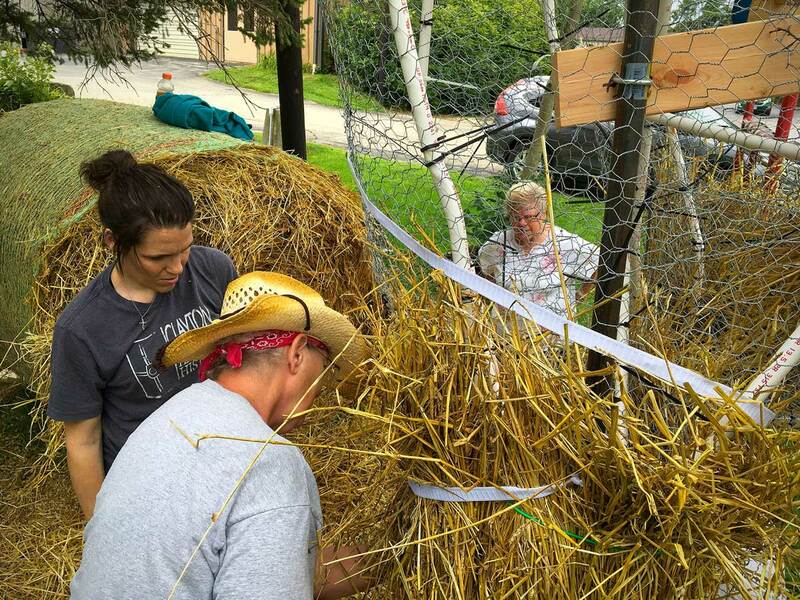 We've had a very productive week of community building! 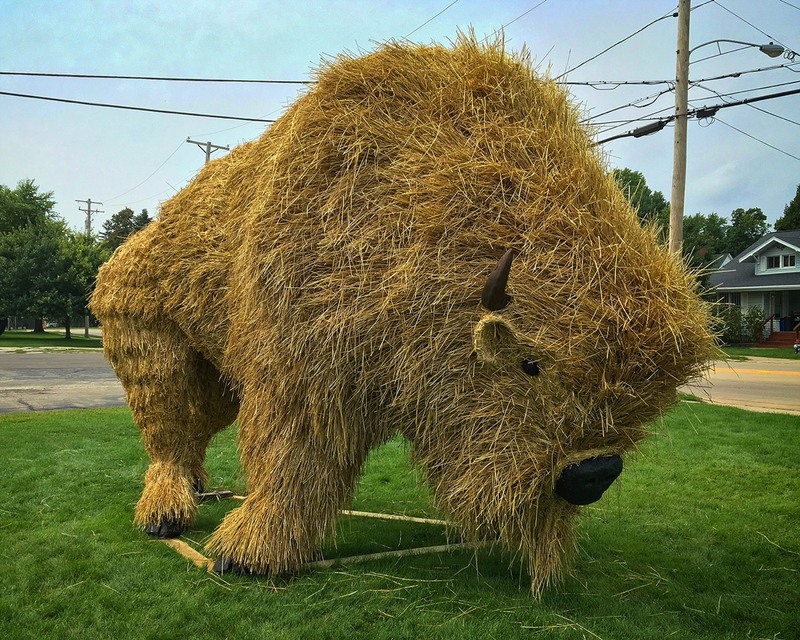 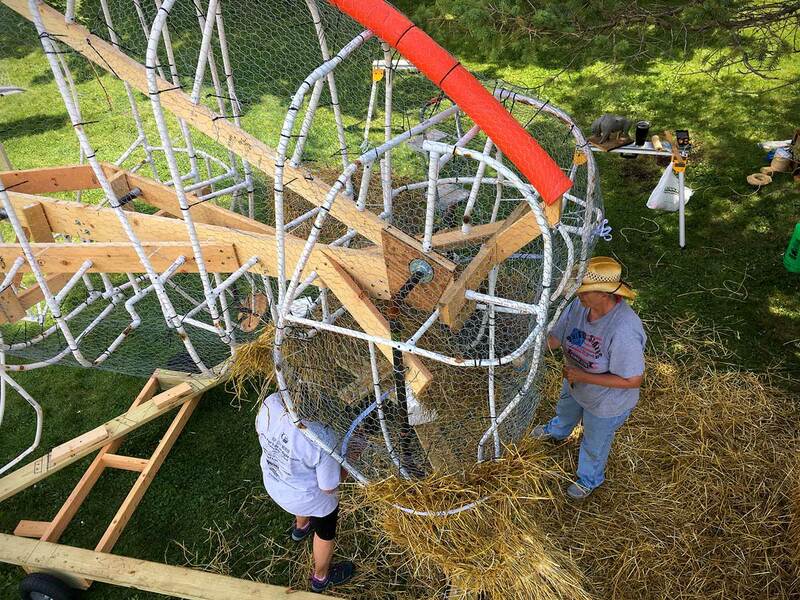 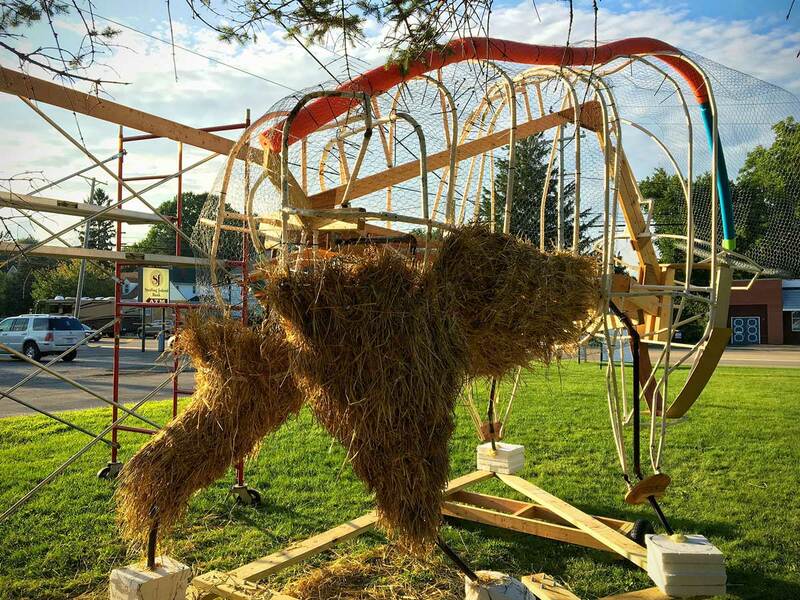 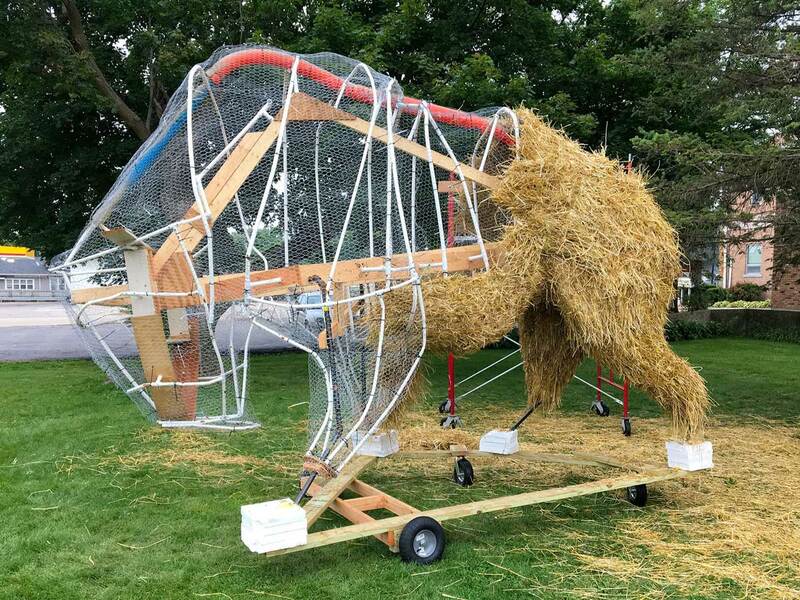 We'll continue through the Straw Sculpting Competition until our Big Bison is finished. 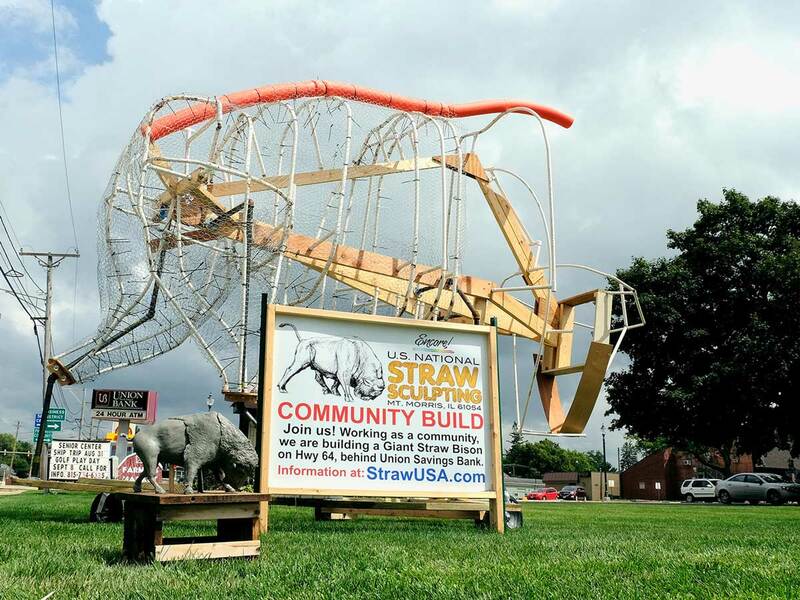 To be put on the mailing list and help with the building please sign up here. 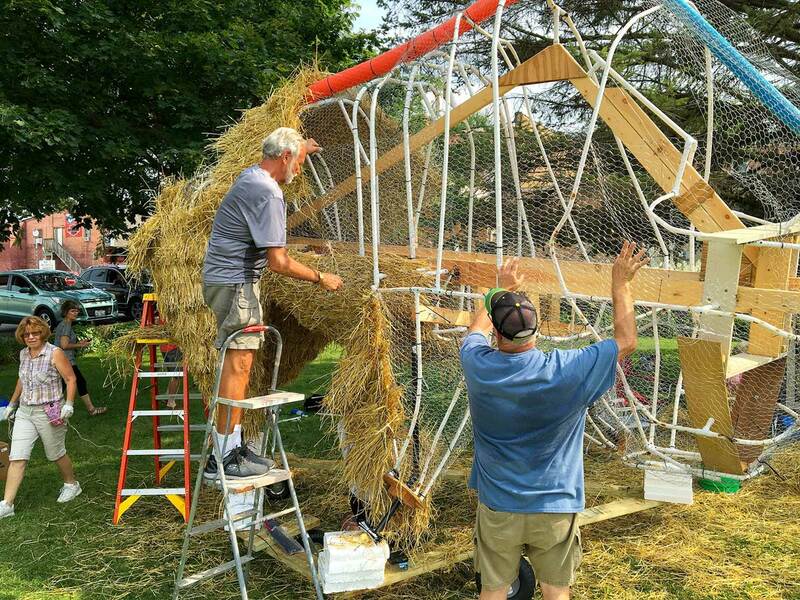 We'll be working 8/21, 22 & 23 @ 10:00am weather permitting. 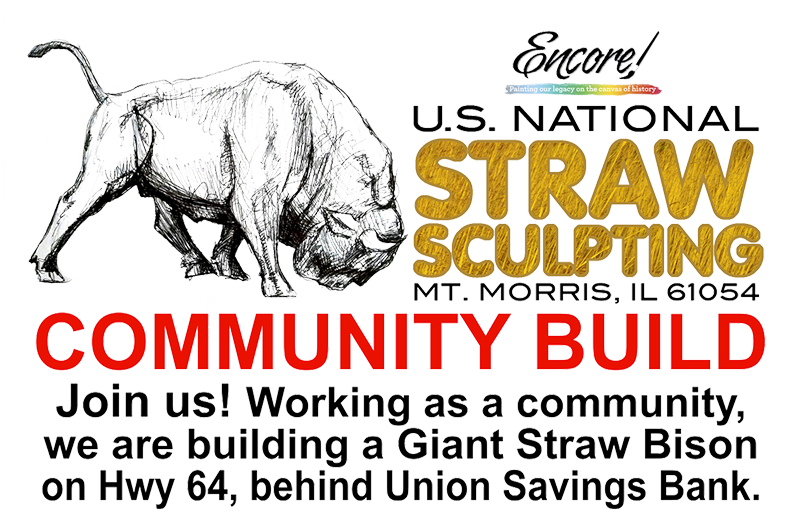 Please use the link to be added to our Big Bison Build mailing list and receive notices of when we'll be working.